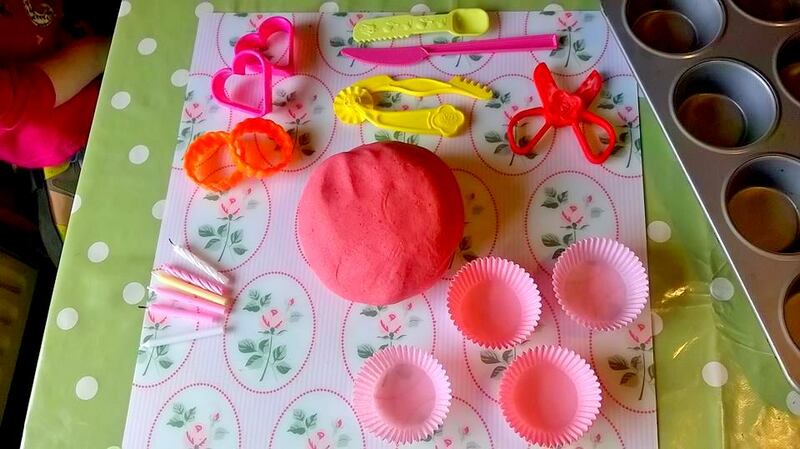 Birthday play dough. – Making Memories in The Chaos. Our little chicken turns a whole big 3 on Friday. 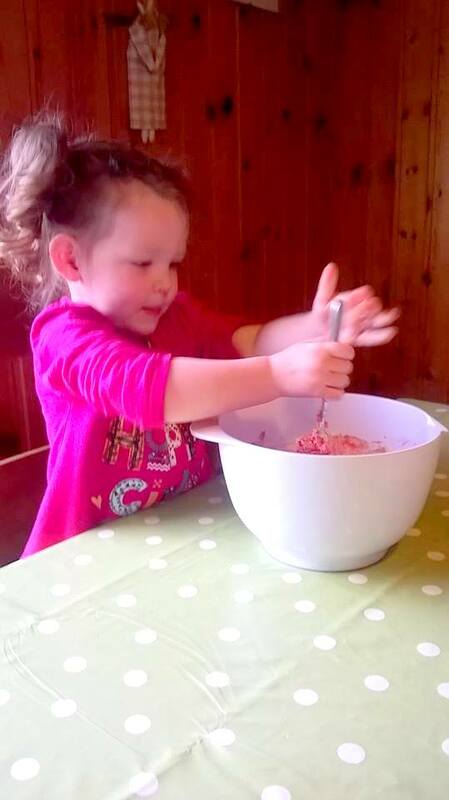 As part of her celebrations I am hoping to play with her at least one of her favourite ‘messy’ activities each day as we count down to the big day itself! 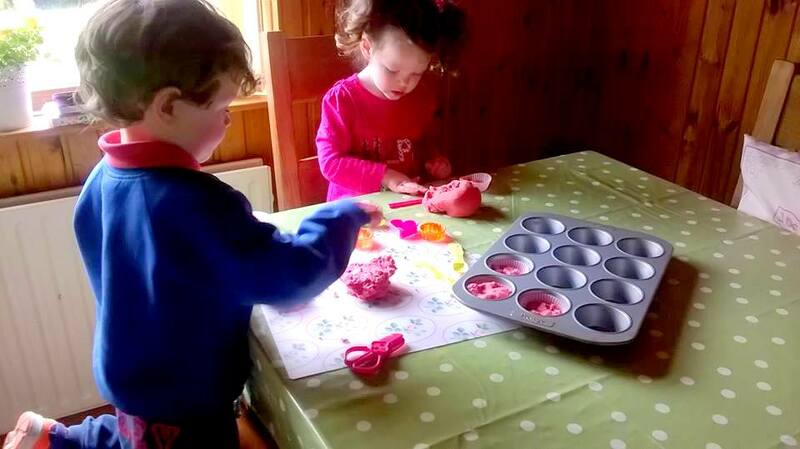 Today was her favourite pink sparkly, rose scented play dough. It is so, so simple to make and can be made using ingredients which you more than likely have in your cupboards. 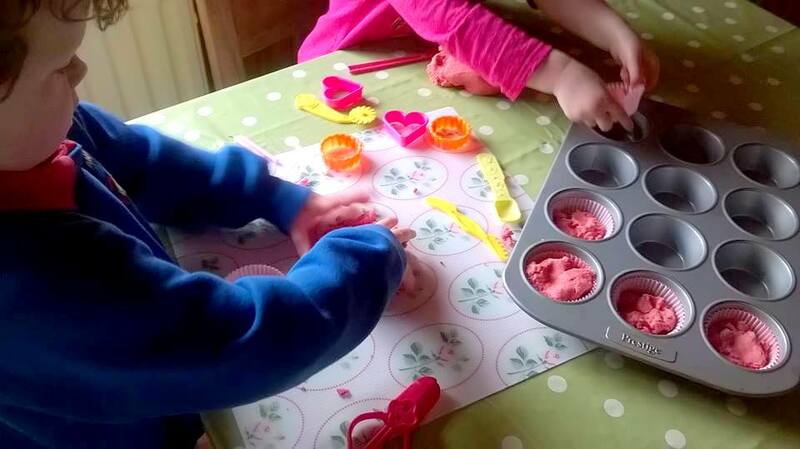 All of the kiddiewinks in this house love play dough – they will play together for ages, creating and imagining. A great wee activity for fine motor skills too 😉 So, if you haven’t already, why not whip up a batch yourself? It’ll be great for your little ankle snapper and may even buy you 10 minutes to finish a whole, and hot cuppa too! 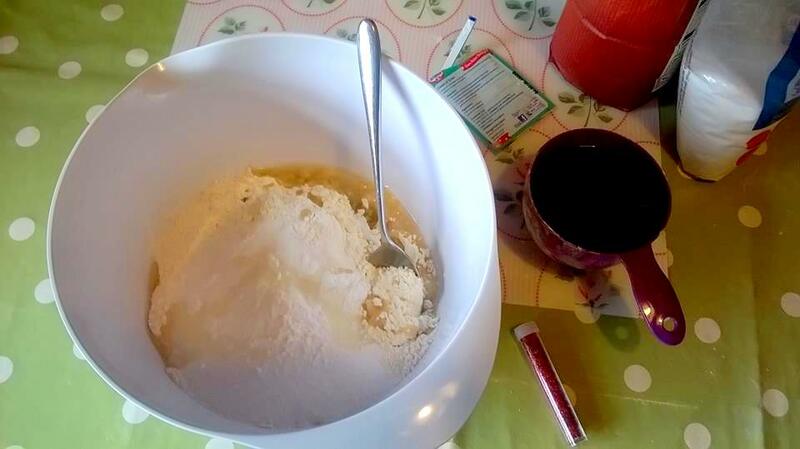 2 cups of plain flour. half a cup of salt. 2 tablespoons of cream of tartar. 2 tablespoons vegetable oil. 1 – 2 cups of boiling water. food colouring. glitter. rose water / scented oil. It takes quite a lot of glitter for it to be noticeable! 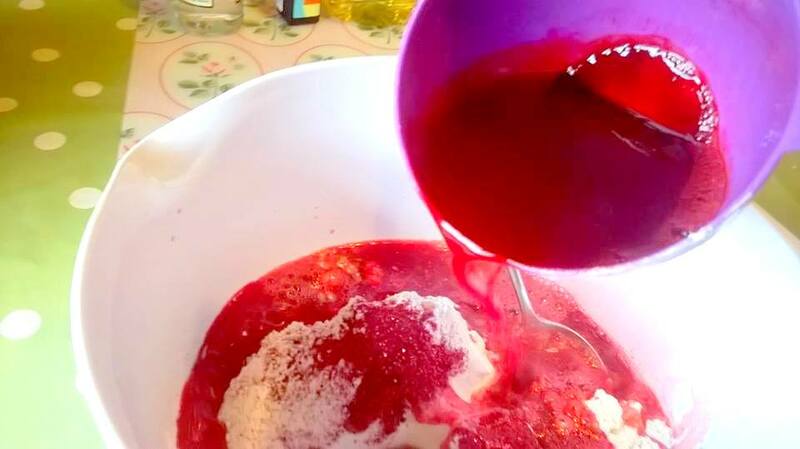 Next, add your food colouring and perfume / essential oils to you boiling water. Start with 1 cup of water and see how it goes – you may need to add more if the mixture is still quite dry. 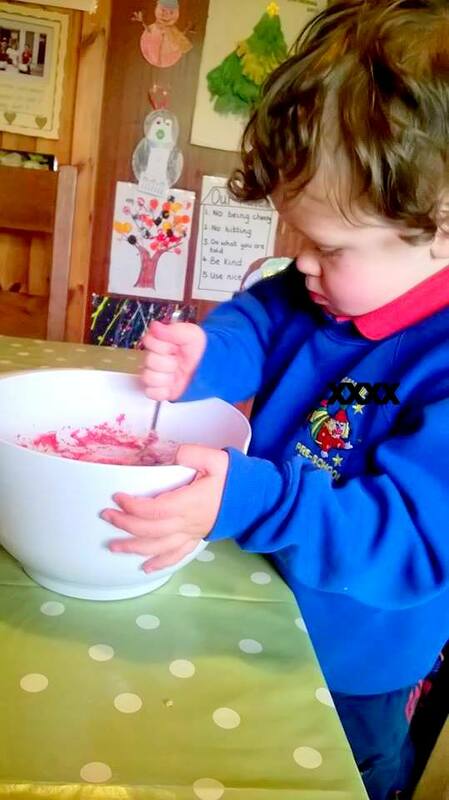 The mixing is definitely our favourite part! 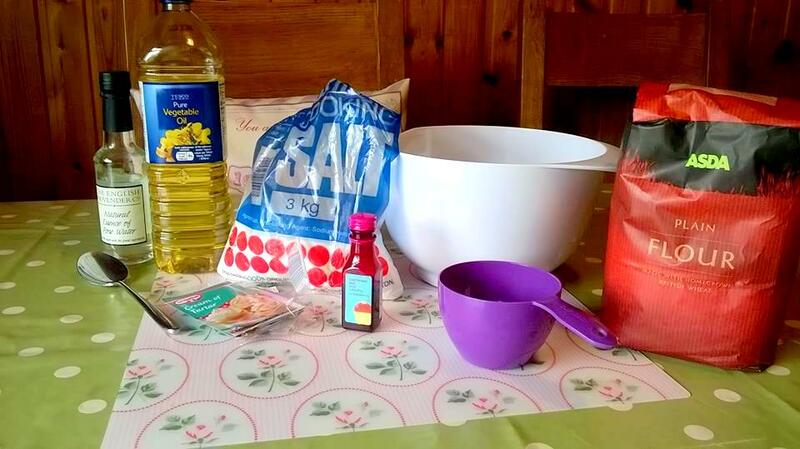 This part is the key – knead the mixture. And I mean knead it like crazy. Keep working at it until you get a consistency that you are happy with. If you feel it is a little dry as more water, if it is too sticky – add more flour. BUT, it should be fine. 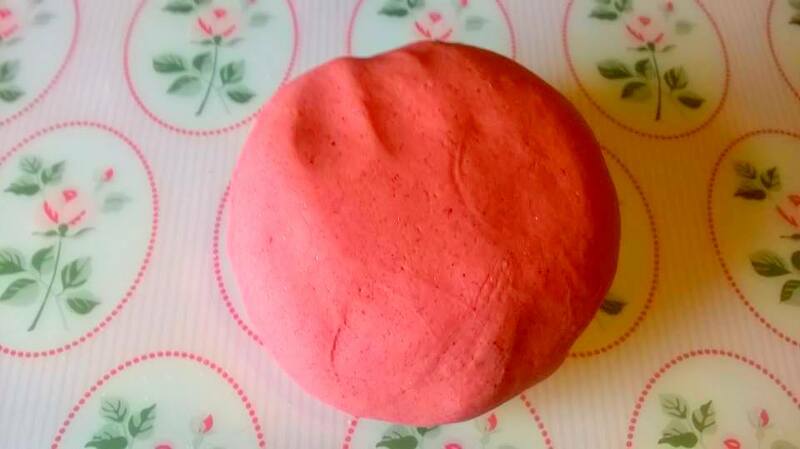 Eh voila – your play dough is ready for playing! 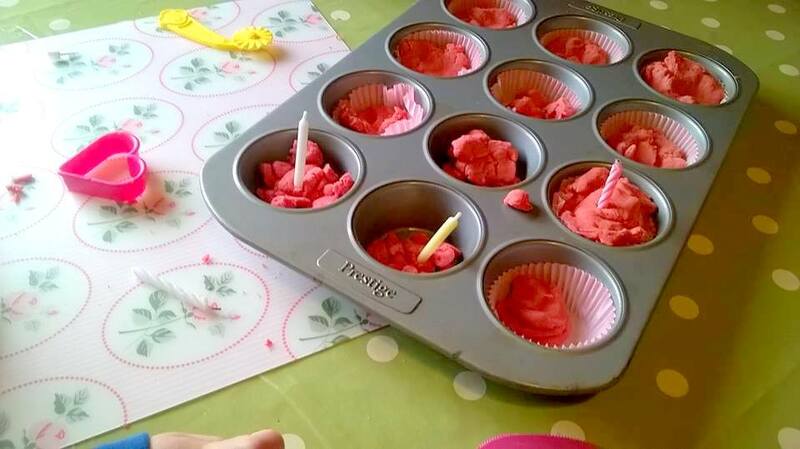 Today we were making birthday cakes and cupcakes with ours 🙂 It has kept them busy all day, even when J got home from school he was keen to get baking. 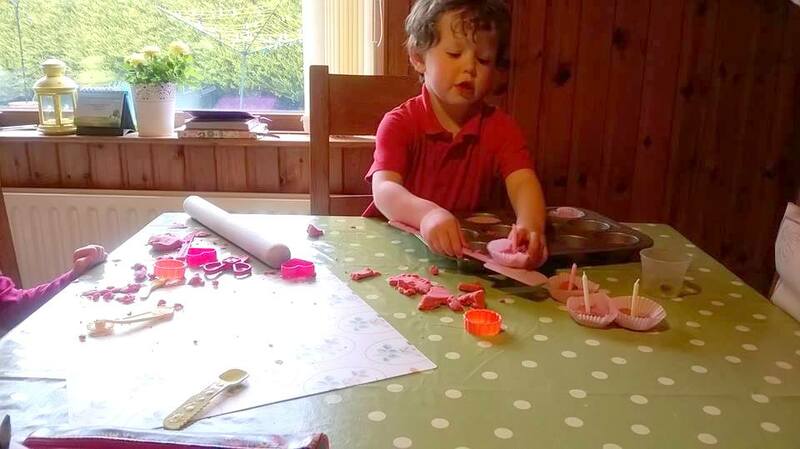 Slight down side is that there is now play dough from one end of the house to the next as the buns got cooked in various ovens…aka…the boys wardrobe, L’s kitchen in her bedroom, my chest of drawers! Ah well….now you know why my house is never clean nor tidy! 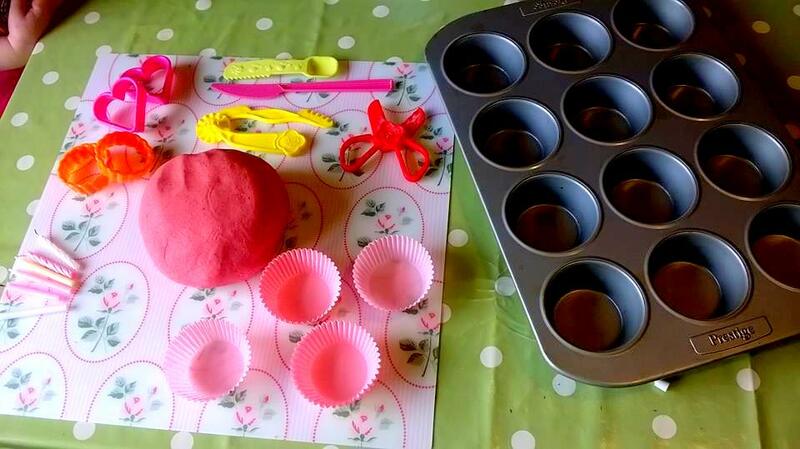 Anyone out there got any other great ideas for play dough? We’ve made chocolate play dough, candy cane play dough, gingerbread play dough in the past, but would love something new for the summer?? Previous Post A May Round Up! 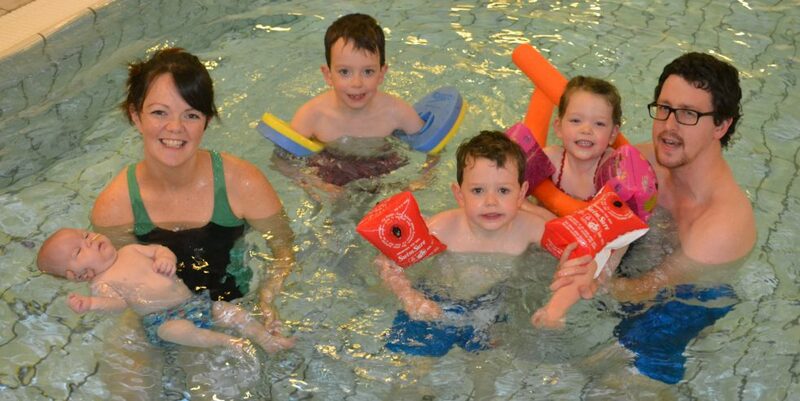 Next Post Free Family Day Trips Northern Ireland.